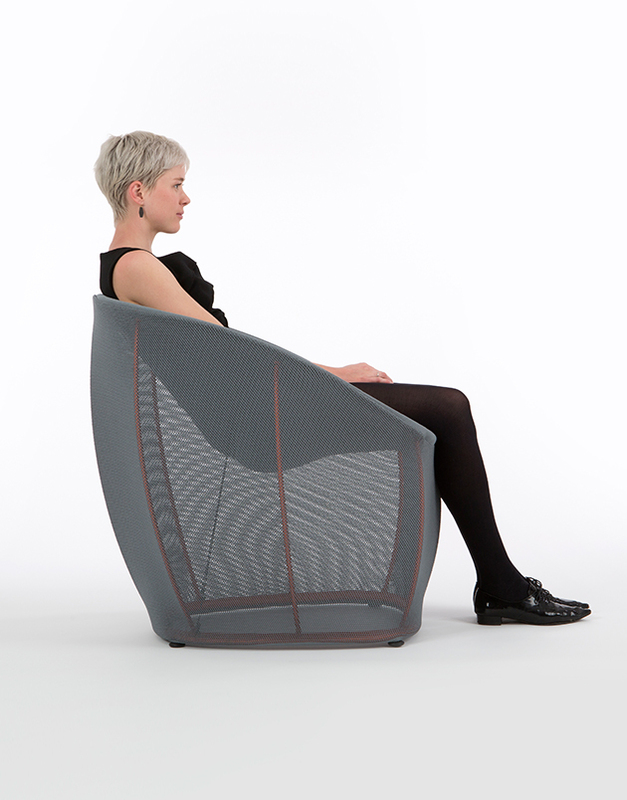 Ultralight furniture is useful beyond backpacking trips, making its way into homes as well. 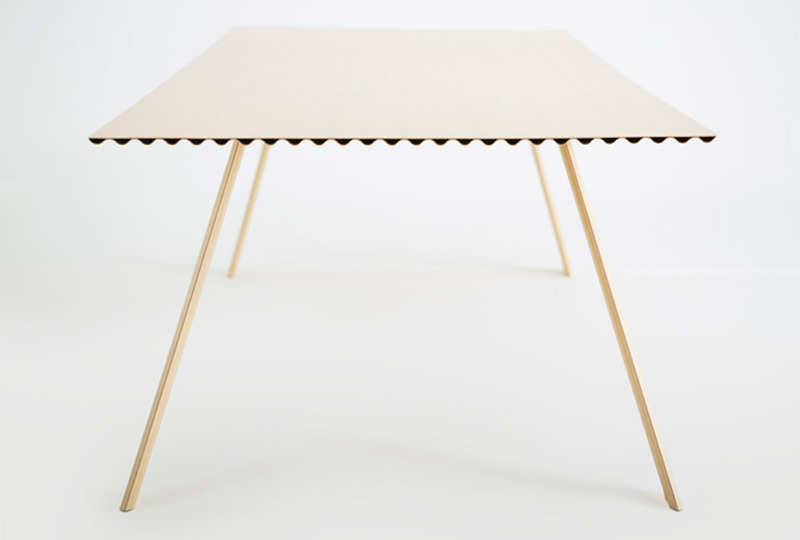 A unique corrugated plywood construction makes this timber table incredibly lightweight at just 9 kilograms (19 pounds), yet 200% stronger than solid spruce wood. ‘Ripple’ by designer Benjamin Hubert and Canadian manufacturer Corelam is made of birch aircraft plywood, using 70%-80% less material than a standard timber table. The table is light enough to easily pick up and move around, with an incredibly slim profile, which saves a lot of resources not only in manufacturing but in shipping, as well. 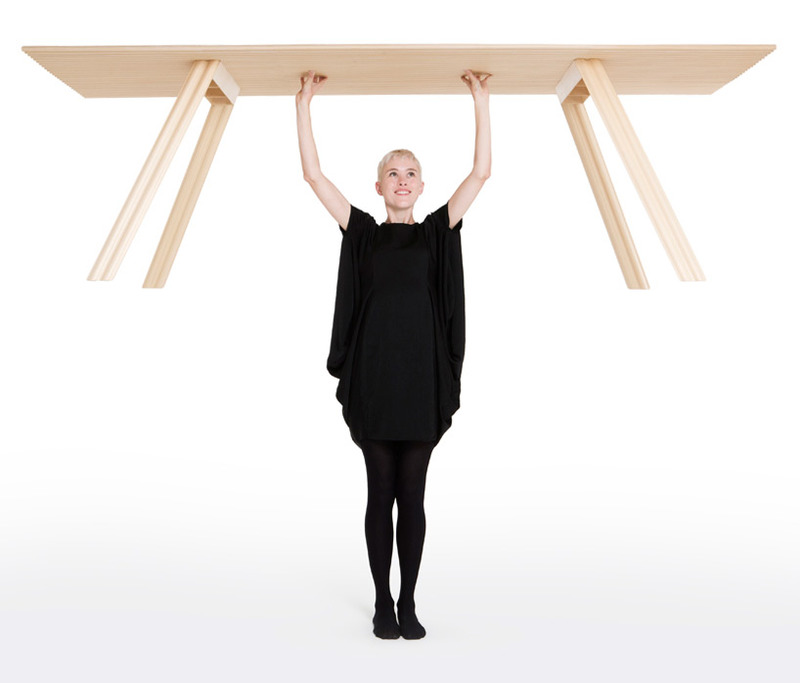 But despite its seeming fragility, the table can support a surprising amount of weight. 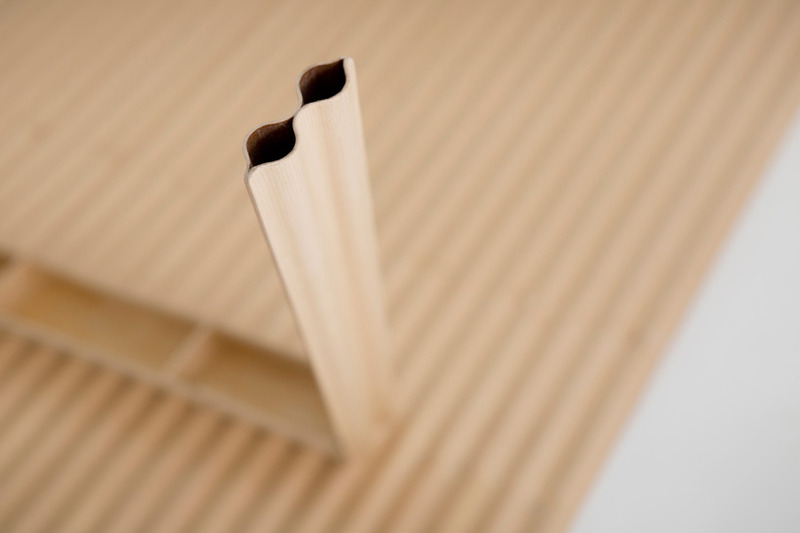 It’s made by sandwiching layers of plywood together in a corrugating machine. 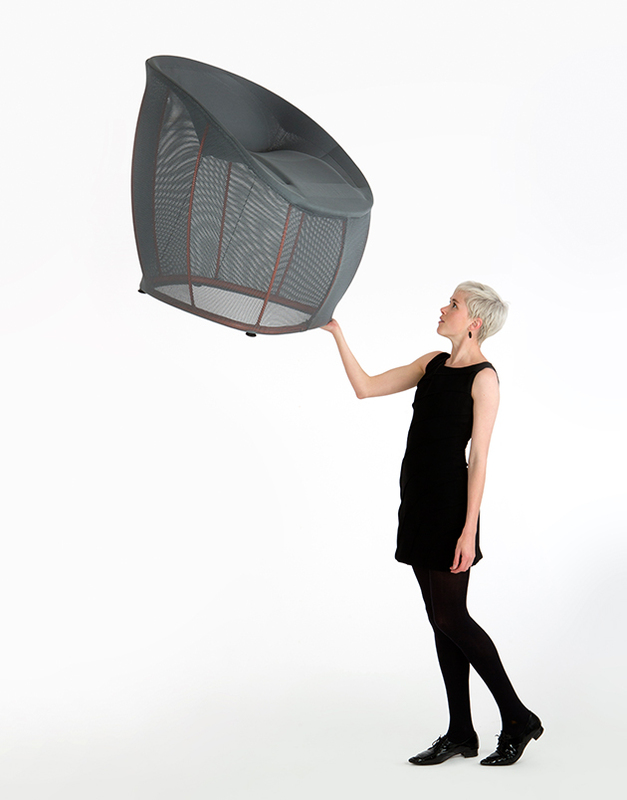 Benjamin Hubert is also responsible for ‘Membrane,’ an ultralight chair made of a stretched 3D woven textile mesh over a lightweight steel and aluminum framework, weighing in at just 3 kilograms.